(1) Scanner is a Heavy/Power Metal band founded in 1986 in Germany. 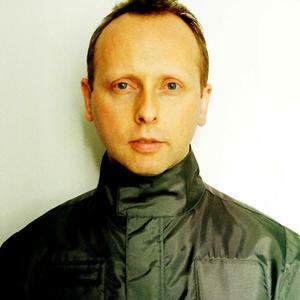 AND (2) Scanner is the pseudonym of London UK based, British artist Robin Rimbaud who has released over 43 albums since 1991 and has been active since the 1980s. As much as Bryan Ferry's management believes, Scanner is NOT Radar. AND (3) Scanner was a featured female acoustic blues artist to appear on one of the free CD's given away with British newspaper The Sunday Mirror (Hollywood Greats - SMHGCD01). She has only released one song so far, Slow Down, and is very much obsolete. Her RnB diva vocals are quite the contrast to her melodic guitar playing, but combine to make an interesting and pleasing blues sound. Previously known as Lions Breed, a Metal act that released a 1985 album on the Earthshaker label entitled ?Damn The Night', the group underwent line up changes and became SCANNER in 1986, adopting an on stage sci-fi image. The group's debut album, 'Hypertrace', was produced by Eloy vocalist Frank Bornemann. Backing vocals for this outing were contributed by Tyran' Pace man Ralph Scheepers. Japanese versions of this album added the exclusive track ?Galactos'. By the time the second album, ?Terminal Earth', had been released the group had parted company with Knoblich, the singer briefly joined Jester's March recording a demo with that band, and replaced him with the Yugoslavian born ex-Angel Dust frontman S.L. Coe. This was not their first choice though, SCANNER just having missed out by a matter of days to Gamma Ray in securing the services of Ralph Scheepers. Soon personality clashes soon erupted between Coe and his band mates and the vocalist was forced out. The band would split for a period with Coe going on to found Reactor for a series of albums. In later years S.L. Coe would prove industrious as a producer as well as touting his own Metal band C.O.E..
Guitarist and bandleader Axel Julius (also producer aka Nigel Boston) recruited a new line up for SCANNER to release the 'Mental Reservation' album in 1995 for the Massacre label and JVC Victor Entertainment Japan.. The band comprised Polish vocalist Haridon Lee, real name Leszek Szpigiel and previously having fronted CROW, bassist John A.B.C. Smith of Gallows Pole and drummer D.D. Bucco for this album, although Smith was succeeded by Marc Simon after the record was released. 1997's ?Ball Of The Damned' would prove an ambitious affair as the band took on cover version of Queen's epic ?Innuendo'. Ralph Scheepers, by now in Primal Fear, also appeared once more lending vocals to ?Puppet On A String'. Touring to promote the album saw headline European dates with support act Unrest before a further round of shows on a package billing with Fates Warning and Omen. With SCANNER once more entering a lengthy period of hiatus John A.B.C. Smith re-activated Gallows Pole. As a solo artist he would also release the 1995 album ?The Revelation Of John'. Szpigiel also made a return, now billing himself as ?Naked Duke' and fronting his band Duke for a 2001 EP ?Escape From Reality'. SCANNER would be back in 2002 brandishing a new studio album 'Scantropolis'. At this stage the new look band comprised vocalist Lisa Croft, guitarists Axel Julius and Thilo Zaun, bass player Marc Simon, keyboard player Johannes Brunn and drummer Jan Zimmer. The album would close with an unaccredited version of ?Till The Ferryman Dies' recorded live in Stockholm. (2) Scanner is the pseudonym of London UK based, British artist Robin Rimbaud who has released over 43 albums since 1991. He created music as Dau Al Set and The Rimbaud Brothers, releasing cassette editions in the early 1980s. Since 1991 he, Robin Rimbaud, has been intensely active in sound art, producing concerts, compositions, installations and recordings, the albums Mass Observation (1994), Delivery (1997), and The Garden is Full of Metal (1998) hailed by critics as innovative and inspirational works of contemporary electronic music. He has performed and created works in many of the world's most prestigious spaces including SFMOMA USA, Hayward Gallery London, Pompidou Centre Paris, Tate Modern & Tate Britain London, Palais des Beaux-Arts Lille, Kunsthalle Vienna, Bolshoi Theatre Moscow, Hanoi Opera House Vietnam and the Royal Opera House London. Scanner is committed to working with cutting edge practitioners and has collaborated with artists from every imaginable genre: Bryan Ferry, Laurie Anderson, Carsten Nicolai, Radiohead, The Royal Ballet, Random Dance, Neville Brody, HUSSEIN CHALAYAN, Shelley Fox, Douglas Gordon, Brian Eno, Michael Nyman, Luc Ferrari, Mike Kelley, Orlan, Mike Hodges, Derek Jarman, Michelangelo Antonioni, Lorraine Hunt and Peter Sellars, amongst others. With his first recordings heard as Dau Al Set on Peyrere release (1986) his works have continually sought to break new ground: in 1994 he pioneered one of the first experimental ezines, I/O/D, in 1998 he performed Surface Noise on a London Bus around the city, in 2000 he performed over 20 KM of beach in Italy on the public speaker system, re-soundtracked Jean Luc Godard's seminal film Alphaville, and infamously played 16 concerts in just one evening with a series of look-alikes across the globe. In 2003 he became the first electronic artist to ever perform in Vietnam, and in 2004 his Sound Surface work was the first ever Tate Modern sound-art commission. From 1994-2000 he curated the pioneering Electronic Lounge club at London's ICA presenting new electronic music and media monthly. In 2005 he composed Europa 25, a newly commissioned National Anthem for Europe, soundtracks for The Royal Ballet's Qualia and E:vent with legendary choreographer Merce Cunningham, and Flower Echoes work to open the Guangzhou Triennial in China. In 2006 he presented Night Haunts and NightJam with Artangel, produced a four-hour performance across the mountains of North Wales, and designed a new car horn for the US. 2007 began with a new commission for choreographer Shobana Jeyasingh's Faultline and sound design for new British horror film ?Reverb.' His collaboration with filmmaker Steve McQueen, Gravesend, was premiered at the 52nd Venice Biennial. In 2008 he was President of Honour at the Qwartz Music Awards in Paris, scored the hit musical comedy Kirikou & Karaba in Paris, premiered his six-hour show Of Air and Eye at the Royal Opera House London in late 2008, and sound-designed the new Philips Wake-Up Light with Philips Electronics in NL, a lamp to wake you up with natural light and sound. In 2009 he released his new album, 'Rockets, Unto the Edges of Edges,' showed new work at the Canary Islands Biennial, composed the soundtrack to the opening ceremony of the World Swimming Championships in Rome, broadcast in 164 countries, and soundtracked the new Samburg Corby telephone campaign. His avant-pop band Githead released their third album, Landing in 2009, and continues to tour and record globally. His rescoring of the classic black & white movie 'Dr Jekyll & Mr Hyde' was premiered at the Ether Festival London in 2010, whilst he sound tracked new Philips Probe project SkinSucker, two Korean films, and designed the new sound for the Punkt telephone with Jasper Morrison. His film collaboration 'Sakoko' with Hussein Chalayan was premiered at Paris Fashion week with Vogue Magazine. His work can be heard on permanent display in the Science Museum London (Sound Curtains), the Raymond Poincar? hospital in Garches France as part of the bereavement suite (Channel of Flight) and the Northern Neuro Disability Services Centre in Newcastle UK (Turning Light). His BBC radio production of Jean Cocteau's The Human Voice won the prestigious Prix Marulic Award and most recently he won First Prize Neptun Water Prize for his installation Wishing Well in Germany. In 2009 he became Visiting Professor at University College Falmouth UK,and Visiting Professor at Le Fresnoy National Centre for Contemporary Arts in Tourcoing France. He is a Contributing Editor of kultureflash.net, a London centric e-zine which goes out weekly via HTML email to over 35,000+ subscribers.